By Nels Dzyre in Desktop. Updated on November 18, 2017 . Some of us work a lot on multiple devices, swapping between desktop to tablets to smartphones depending on the nature of our work. We understand that sometimes you want to have access to the same updates, notifications and alerts on all your different devices. If you own an Android device, PushBullet is an easy to use way to push content to your Android device from desktop. You can send, files, note, links, reminders and addresses to your Android device, then launch it from the notification bar. Best of all, you will be prompted with the right app to use the info in. 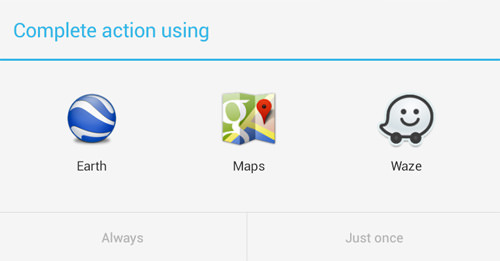 For instance with addresses that you send to your Android device via PushBullet, you can immediately use the information with Google Maps or Waze. 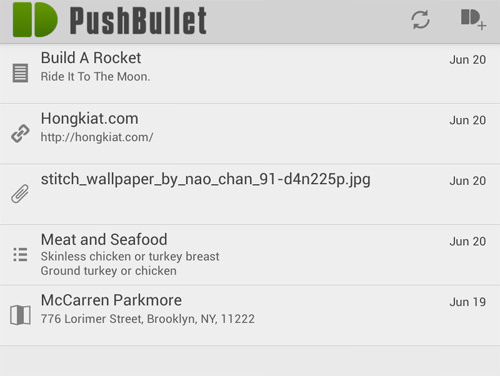 Let’s take a look at what else PushBullet can do for you. Download the PushBullet app, install then open it. Sign in, choose your Google account and you will end up in the app home page. Before you can start pushing files to your Android device, you will need to access its Web service. Sign up with the same google account you signed up on your device. Select the device you want to push notes to, and click on the Push to this device button next to them. PushBullet has an interface that isn’t hard to figure out. 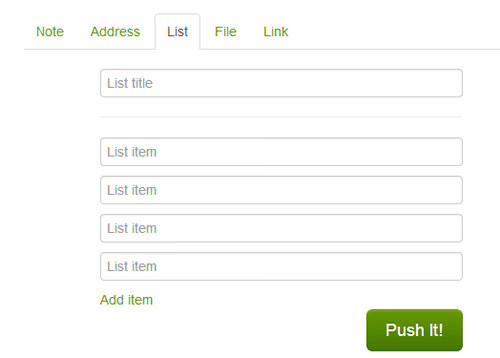 You get only 5 things to choose to push notes in: Note, Address, List, File and Link. Let’s look at the Address section. If you like to look for your addresses online (frankly, it is a lot easier) then you can use this to send the details over to your phone. Fill in the Name section with the name of the place and fill in the address of the place. Click on Push it! and you can expect for a notification in your Android device. 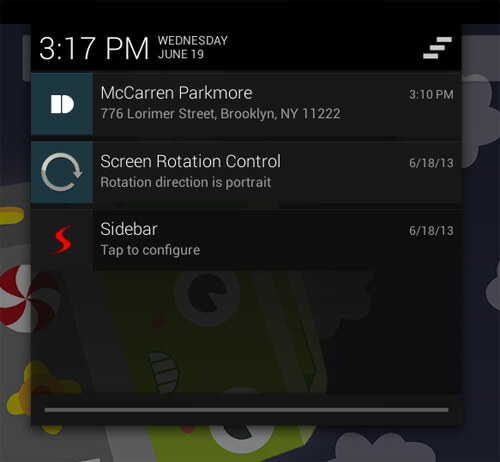 From your notification bar on your Android device, you will see the name and address that you have input. Tap on the notification. You will be asked on which mapping app you want to launch the ‘address’ in. Pick one and the address will be input into the navigation app. If you use the List tab, you can send out a list that will end up as a checklist when received on your phone. Just list them in the rows and rows of space. One space for one item. Once you have pushed it to your Android device, in the app you can see your list and this time it comes with checkboxes. Tick on the checkbox to scratch the item off the list. Once you are done, you can delete the whole list. 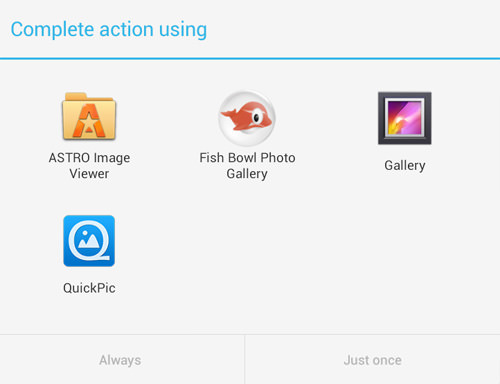 Want to send a file to your smartphone from your desktop? You can also use PushBullet to send the file over as a link to download. Select a file to upload it then click Push It!. A pop up will come out on your mobile device and you can tap on it to open the file. Choose any of those apps to open your file. You can also send a Web link to your device. Click on the Link tab, put in your Link Title and the url. 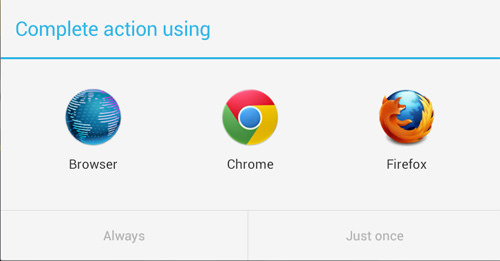 Once you receive the notification on your Android device you can open the link on any of your browsers, or Share it. Alternatively, you can just Copy the link if you want to then manage the links from there on. 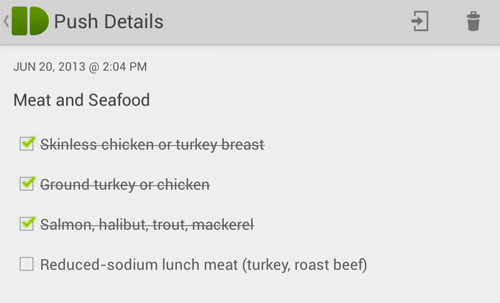 You can also send Notes and Links from one Android device to another Android device. Open the PushBullet app in your first device. Tap on the top right icon to start pushing a Note or Link. 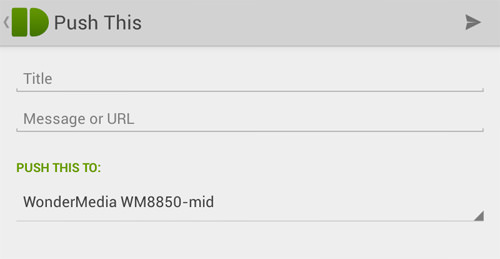 Type up the title and message/url then send it to your other Android devices. Here how the message looks like in your second device, in the app. Note that you can’t push files from device to device via the app (but you can via the web service). PushBullet also has a Chrome extension so if you don’t like going back to the pushbullet page a lot, this will come in handy. Additionally, you can right click to push link to your Android device too. One drawback is that you can’t push Address with this extension. 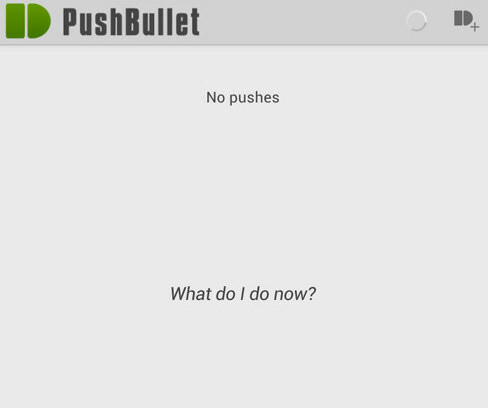 There are a few limitations to this PushBullet service. Files that can be send cannot be larger than 10 MB. You cannot push multiple files at once and as of this writing, you cannot push anything from your Android device to your desktop yet.